Thomas Teye Partey have expressed his delight after leading the country to win over Mauritania. The 26-year-old was handed the captain's armband in the absence of Andre Ayew. 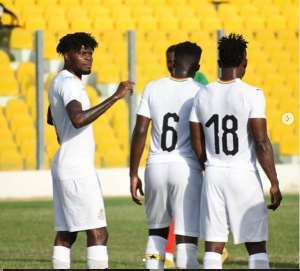 After defeating the Harambee Stars of Kenya to top Group F in their final Africa Cup of Nations qualifiers, the Black Stars continued their impressive against Mauritania at the Accra Sports Stadium. AFC Wimbledon forward, Kwesi Appiah broke the deadlock in the first through a penalty. In the second half of the game, in form Caleb Ekuban increased the tally before Partey sealed the win for the Black Stars. After recording a 3:1 in Accra yesterday, the Atletico Madrid star expressed his gratitude after leading the country to win over Mauritania.